After four days and 20 boxes my home is ready for Christmas now I just wish I was. 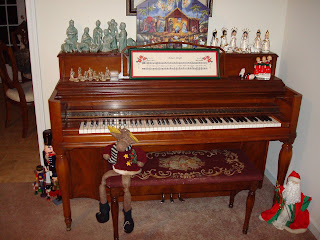 I love decorating and see all of the stuff that I have collected over the years. 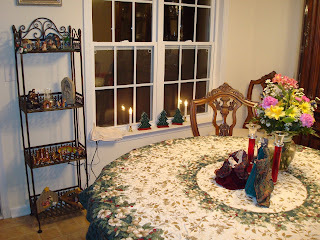 I have chosen a few pictures to share with you and maybe help get you into the spirit. So turn on some Christmas music and enjoy. If you want to play a game you can count the nativities. 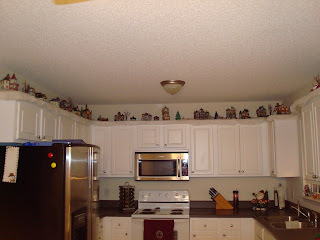 This is taken from my kitchen area looking toward the front door. The nativity by the rocking horse is one that Austin can play with so that he leaves all of the other ones alone. He has so far made them line up like a parade and the loin couldn't join them because baby Jesus was afraid of him. Then it was bowling with Christ, at that point Michelle said that he was done for a while. Here is a closer shot of the snowmen collection if I can't have real snow I might as well make my own . I made this Santa when Julie was in Kindergarten he has been around all this time. Some of the grand babies had their picture taken with him. 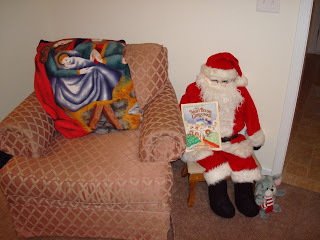 I have taken him to school for the kids and for several years a cabbage patch kid sat on his lap but Julie took her doll so now he just has a story book. The story book is the night before Christmas we read this story every Christmas eve. The mouse is one that Ron purchased because in the book he had the kids find the mouse on each page. 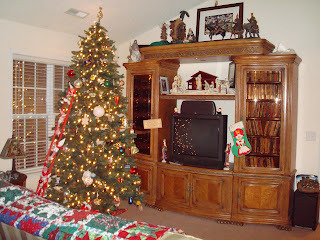 The entertainment center all changed from normal to Christmas. I have seven nativities on this if you are counting. I believe this year I put only 25 up in the house. The rest will be on display at the Stake center. So that is less than half. My village is up over the counters. I didn't dare drill holes for the cords to plug them in because I have officially purchased the house yet. You can't tell very well but I have snow on the ground and a nativity in the village. Just one more. Can you tell that I love Christmas yet. My nook I love the shelf it is a great spot for all of the small nativities. In the south people put candles in the window so I decided to do it this year. Even though it is in the back of the house. I sill love the look of them. I hope you have enjoyed seeing my home as much as I have enjoyed sharing it. Karen it is BEAUTIFUL. Thank you so much for sharing the photos. 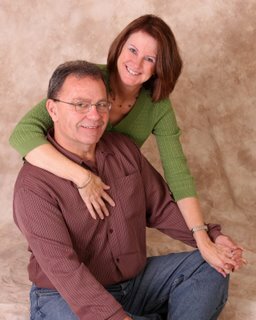 We love to see what you are doing and your house looks amazing. It looks great Mom! I love all the nativities everywhere. I only have two. One you got for me while I was in college and the other we just bought in Mexico. I've got a long way to go to catch up. WOW! Mom, it looks great. 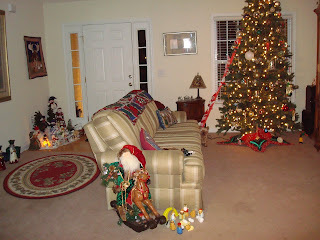 It reminds me of the years getting house ready for Christmas and every room had to have something Christmasy. I always chuckled a little bit when a nativity was in the bathroom. There are certain things that a Christ child should NOT see. 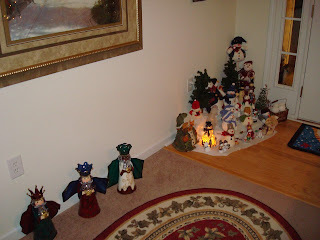 Love the decorations, so fun that you have collected all of those nativity sets. What a fun idea. Jenn's comment is hilarious. That is amazing. I have never seen so many Christmas decorations!